In pursuit of “having it all”—a burgeoning career, a robust personal life, good health, a thriving and close-knit family—many of us burn out and end up falling short in one or more of these areas. Maintaining a better balance between work and other parts of your life may not give you “it all,” but it can go a long way toward helping you feel fulfilled and successful. Here are seven tips for creating a better work-life balance. Create clear boundaries between work and home and stick to them. The easiest way to do this is to “unplug” your devices while at home. This means putting away the smart phone, closing the lid on your laptop, and really focusing on what is going on at home, whether that’s playing a board game with your kids, enjoying dinner with friends, or watching a movie with your spouse. Make sure your time away from work counts for something by paying attention to those you share it with. Practicing some form of “unplugging” at work as well can help you be more efficient there and thus more likely to get home at a reasonable hour. Some ways to unplug at work include setting a specific time once or twice a day to check and respond to email and avoiding social media at work. 2. Set realistic and manageable goals. While you’re at work, set goals that are both realistic and manageable. Dividing a big job into several tasks you can work on one-by-one gives you a sense of accomplishment that doesn’t come when you feel overburdened by a workload can’t control. Dividing your work into smaller, more manageable tasks gives you deadlines you can control and makes you less likely to become discouraged. This, in turn, makes you less likely to bring home negative feelings at the end of the day. Make taking care of yourself a priority. The healthier you are—both physically and mentally—the easier it will be to enjoy your time at home with family and friends and handle stress on the job. Exercising even three times a week for 30 to 45 minutes can relieve stress and tension and elevate your mood. It will also make you feel more rested, which will contribute to you your ability to work efficiently. This goes hand-in-hand with setting realistic and manageable goals. By dividing projects into smaller tasks, you become less likely to procrastinate because the next item on your list won’t seem as daunting. When you get right to work instead of procrastinating, you feel more accomplished and have a sense of accomplishing more in the allotted time. If you find yourself procrastinating frequently, try giving yourself incentives for each task you finish: a 5-minute break, a walk to the coffee shop, a few minutes to meditate, and so on. You might also look at number 5 below and find that the best way to stop procrastinating is to do the hardest thing first. 5. Get rid of time-wasters. Fill your time at home with things that are meaningful rather than things that tend to waste your time. This often goes along with unplugging, because much of the time we waste is spent online. Obvious time wasters might include spending too much time browsing and posting on social media, watching television, playing games on your phone, and so on. There are, however, two other common time wasters that we often fail to think about. One is not starting with the hardest thing first. If you really want to enjoy your weekend but also need to mow the lawn or clean out all the months’-old leftovers from your fridge, do the hard chore first. When you delay the hard task by doing other, less-important things first, you’re also delaying the time at which you get to start relaxing or enjoying your weekend. It’s far more productive to dive in and tackle the hardest thing first. It also ensures that you won’t spend the last few hours of your Sunday doing the hard thing you put off all weekend. The second time waster is over-planning. Sometimes we tend to focus so much on planning a fun day with the kids or a weekend away with a spouse that we cram too much into a short time span and then fail to be able to enjoy that time. This applies at work too. Squeezing too much stuff into your agenda or to-do list can make you feel frazzled and stressed. Prioritize those things that are most important and eliminate the rest. Whether you’re at home or at work, your best chance of feeling successful hinges on communicating effectively with those around you. If you feel overwhelmed at work, talk to your boss or coworkers about your workload. Don’t complain, but offer practical solutions. In addition to talking, listen. 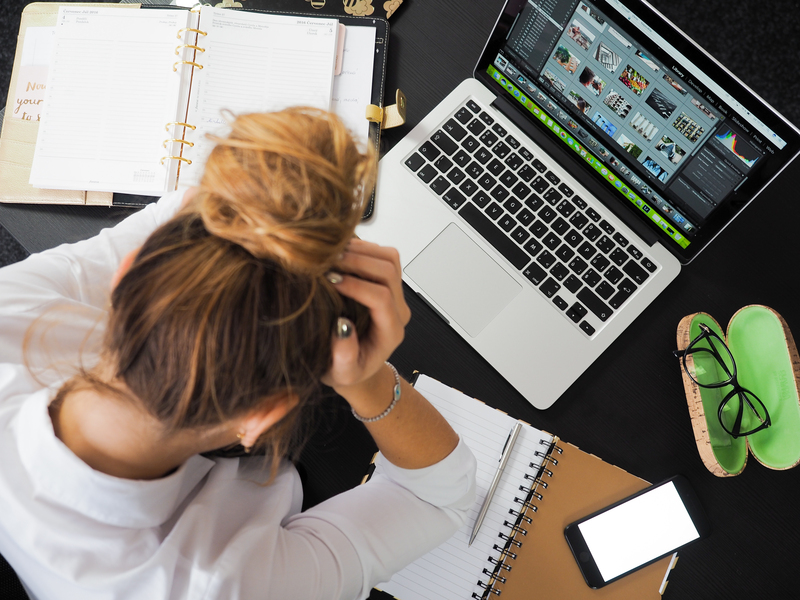 Very often, someone else in the workplace will have faced similar circumstances and discovered ways to cut down stress and lighten the workload. This applies at home too. If you feel housework is taking up too much time at home, for example, talk to your family members or roommates about ways you can more effectively share the load. Delegation at home and at work can both lighten your load and give others the opportunity to learn and grow. 7. Feed your mind and body. In addition to regular exercise, one of the most helpful things you can do to achieve a feeling of balance is to nurture your body and mind. Taking time to care for both will provide a sense of well-being that will benefit you in the workplace and in your relationships with family and friends. Make sure the food you eat is balanced and healthy. If you enjoy music, take time to dance to your favorite tunes or simply close your eyes for a moment and let the music fill your mind. If you are an avid reader, allow yourself time to read and/or study good literature. Go outside and enjoy nature. Learn how to meditate. Taking care of yourself first doesn’t make you selfish. It makes you stronger. Here’s a quick way to use essential oils to feed your mind and relax your body in your quest for balance: Blend 4 drops each of frankincense, lemon, and rosemary, 3 drops each of lavender and white fir, and 2 drops each of fennel and rose in a roller bottle. Roll on and rub between your hands, then inhale. Repeat this affirmation: I am more balanced and healthy in all aspects of my world each day. I am willing to allow myself to be human and imperfect without chronic criticism. I joyfully declare what makes me happy.